Zabelle begins in a suburb of Boston with the quiet death of Zabelle Chahasbanian, an elderly widow and grandmother whose history remains vastly unknown to her family. But as the story shifts back in time to Zabelle's childhood in the waning days of Ottoman Turkey, where she survives the 1915 Armenian genocide and near starvation in the Syrian desert, an unforgettable character begins to emerge. 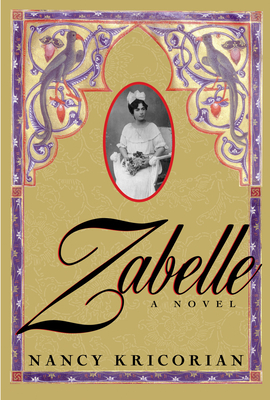 Zabelle's journey encompasses years in an Istanbul orphanage, a fortuitous adoption by a rich Armenian family, and an arranged marriage to an Armenian grocer who brings her to America where the often comic interactions and battles she wages are forever colored by shadows from the long-lost world of her past.